The interest which many therapists and physicians showed in Chӧje Akong Tulku Rinpoche’s profound knowledge of Tibetan Buddhist medical and therapeutic practices (Tib: sowa rigpa) led to the development of an innovative system of therapy, now thriving as the Tara Therapy Programme. The seeds of this therapy were sown during the hardest period of Akong Tulku Rinpoche’s life – firstly the struggle for survival during and after leaving his homeland, and then the extreme change in life circumstances he experienced both in India and later working as a hospital orderly in the UK. He had lost everything that was familiar to him, but through applying the precious Dharma teachings and practices he had learned in Tibet, he was able to accept and transform adverse conditions. In this way his hardships became a source of great benefit, and gave birth to a sincere commitment to help others experiencing physical and mental suffering. From 1967 onwards, many individuals approached him with their problems, and he saw that they often suffered from a fundamental insecurity at a human level. He perceived that although many Westerners had good intellectual development, the emotional and social basis for this was often fragile. Through his compassion, understanding and great skill he was able to help them according to their needs. For many years this help was dispensed informally, but in 1980 Rinpoche gave his first formal therapy course in Samye Ling, explaining the Tibetan approach to holistic healing. Several Western therapists attended this course and were deeply impressed with his methods, and wanted to learn more from him. In 1980, a Centre was started in Edinburgh which Akong Rinpoche instructed was to have therapy as its primary activity, and which ran workshops and courses. Similar work was going on in other countries, most notably in South Africa and Ireland. In 1986 Edinburgh Tara Trust was formed, and in 1988 a core group of therapists gathered at Samye Ling to receive therapy teachings and training from Akong Rinpoche. The members of this group were evolving a form of psychotherapy by participating in their own healing process, gently guided by Rinpoche who gave them various exercises to do. In this way a unique form of psychotherapy was born from a synthesis of the Tibetan healing system with its profound Buddhist perspective, and a complementary mix of tried and tested Western therapies. 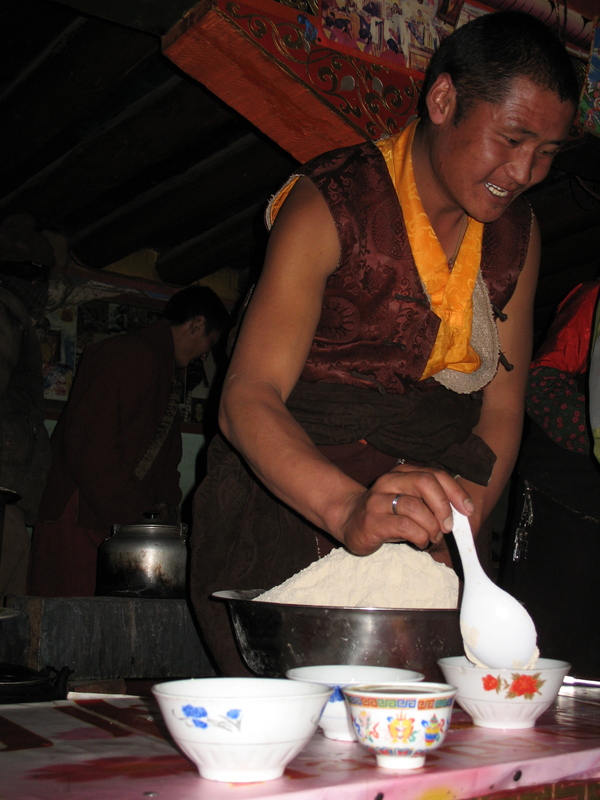 Over time these methods were refined and taught in many of Samye Ling’s satellite Centres. Eventually, recordings of Rinpoche’s teachings were gathered together and turned into books, notably Taming the Tiger and Back to Beginnings, which have been translated into several languages and have sold many thousands of copies. A four-year professional therapeutic training programme in the Tara Therapy Process began in 1993, and since then numerous therapists have gained the qualification to teach Akong Tulku Rinpoche’s unique therapy method. The methods which Rinpoche developed include meditation exercises based on relaxation, awareness and compassion, combined with Western therapeutic methods such as massage, art therapy, writing and reflection. Tara Therapists have also followed with great interest current advances in Neuroscience which show that methods which come under the label of mindfulness, awareness and compassion, often derived from or practised as Buddhist meditation, are truly effective in addressing symptoms of various common mental health issues, such as anxiety and depression. In 2004 the Tara Therapy Training Programme received full accreditation by the UK Council for Psychotherapy, enabling Tara Therapy to award its own certification to its graduates. Thus Akong Tulku Rinpoche’s vision of using Western therapy rooted in Buddhist understanding has created a healing process which continues to flourish today in many countries. Akong Tulku Rinpoche was also very concerned that Tibetan medical knowledge should be preserved in its homeland. From 1983 onwards in Tibet, he initiated many projects to train doctors in this tradition. These doctors have in turn opened many new clinics in their own areas of Tibet thus making treatment more readily accessible for many thousands of people. Traditional Tibetan Medicine is a holistic system of treatment using a range of supplements that are made from local plants and herbs. This form of medicine has been practised for the last 2,500 years, and is recognized increasingly in the West as an effective complement to Western medicine. However, the commercial depletion of local plants has put many healing herbs and plants in danger of extinction. Realising that many of the traditional remedies would be lost without the preservation of these herbs and plants, Rinpoche also launched conservation projects to protect endangered species and the environments in which they flourish. In addition, in 2012 Rinpoche arranged for three of his qualified doctors to come over from Tibet for a study period at the Royal Botanic Garden in Edinburgh. Here they learned how to cultivate and propagate different kinds of herbal plants, under what conditions they would flourish, and when to pick them. Rinpoche understood that this knowledge would be invaluable if they were to succeed in restoring some of the lost and endangered species in Tibet. Akong Rinpoche also wanted the benefits of Tibetan medicine to be made available to people in the West. In 1993 the Tara College of Tibetan Medicine was established in conjunction with the Institute of Tibetan Medicine in Lhasa. A four-year study course led by such eminent physicians as Khenpo Troru Tsenam and Dr. Trogawa Rinpoche, was set up to provide Western doctors and therapists with the opportunity to learn and apply some of this precious knowledge. To-date there have been two such courses with some 40 people in total having completed them. ROKPA has also sponsored the visits of a series of Tibetan doctors to the UK. They have been able to treat many people who may otherwise never have been able to benefit from this unique form of healing. The latest incumbent is Dr Lobsang Dhonden and he currently holds clinics in Edinburgh, Glasgow, London and Samye Ling. 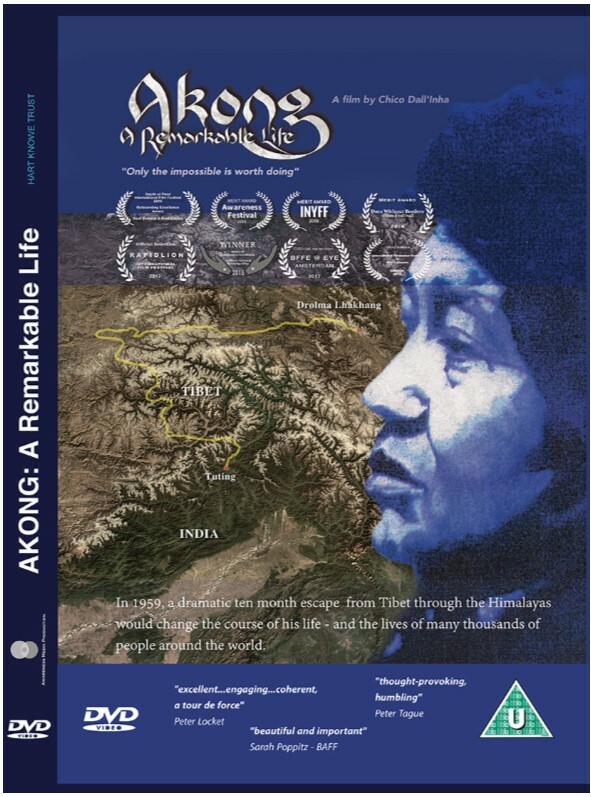 All this activity derives from Akong Rinpoche’s determination to ensure the survival of this precious tradition and to make it available to as many people as possible. Rinpoche’s commitment to help people with mental health problems led him to take over the Lothlorien Community in 1989, with a new approach to mental health which includes principles of collective responsibility and empowerment. Each community member is encouraged to share equally in decision-making about community affairs. It aims to help people to develop their strengths, and work towards recovery through the shared experience of community life. All the members play their part in creating a mutually-supportive atmosphere, and the experience of being part of a therapeutic community allows everyone involved to learn about themselves and how they relate to others. Lothlorien is an innovative alternative approach to mental health, but it is also respected as a valued provision within the mainstream and there are good links with the local GP and statutory mental health services. In the latest Care Service Inspection report from the Care Inspectorate, completed in March 2015, Lothlorien was graded Excellent in all areas, namely Quality of Care and Support, Quality of Staffing and Quality of Management and Leadership.